Nothing says November like pie. 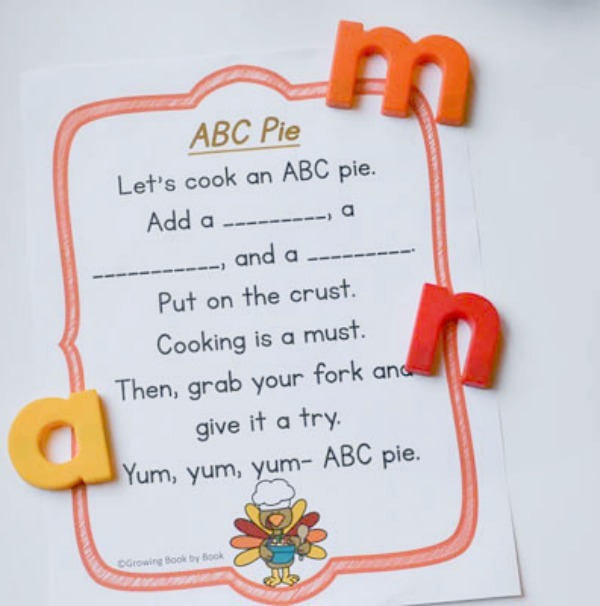 Pumpkin pie, apple pie, pecan pie, ABC pie… Yep, ABC pie is a fun Thanksgiving alphabet activity to do during circle time, with a small group, or even an individual child. So, grab the free printable below for email subscribers and add a few other supplies. Then enjoy this little poem and activity to work on letter recognition. Purpose: Kids will identify letters of the alphabet both lowercase and uppercase. 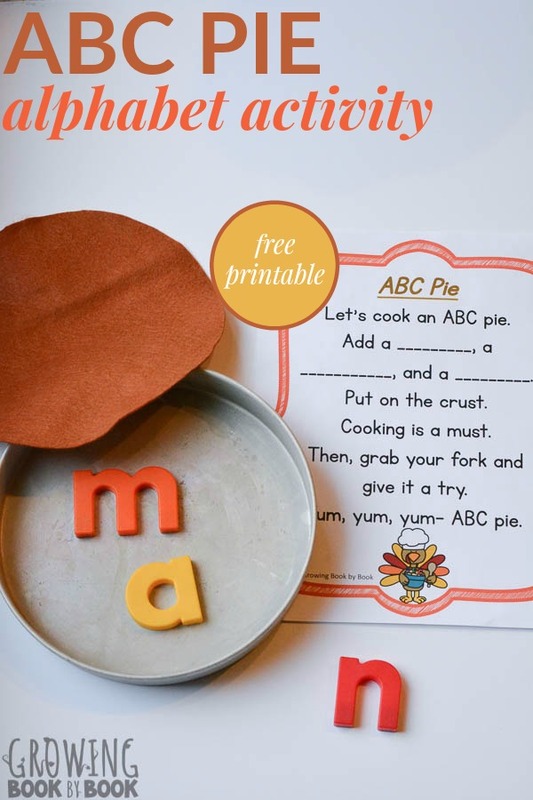 Print the free ABC Pie poem (see below) and practice a few times. 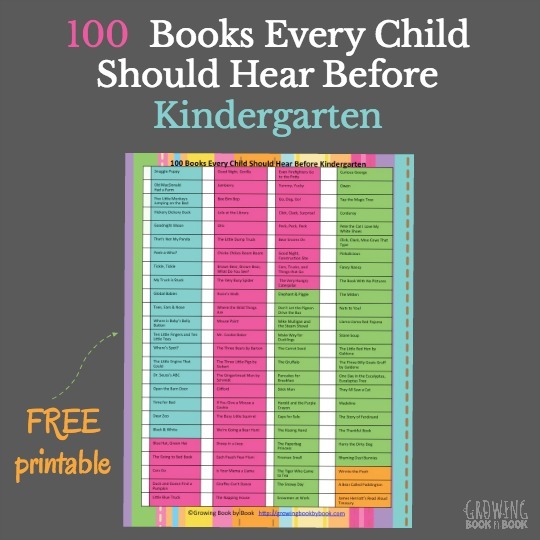 You may wish to enlarge the poem or copy it on chart paper for the kids to follow along. 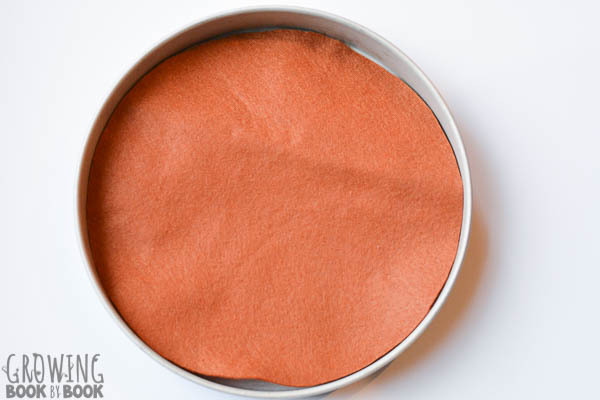 Cut a circle piece the size of your pie plate from the felt. This will be your pie crust. Time to play! Have the kids decide which magnetic letter should be placed in the pie tin based on the letters you call in the poem. You can use just lowercase or uppercase letters. Or, you can mix them. -Use lowercase or uppercase letter depending on the needs of the children. -Say the letter sound instead of naming the letter. The kids can then find the letter that represents the sound. 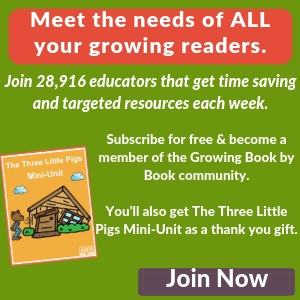 Get your FREE printable to use with this activity as a thank you gift for becoming a Growing Book by Book email subscriber. 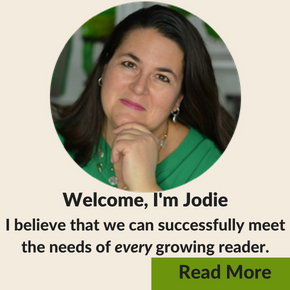 Are you ready to meet the needs of all your growing readers? 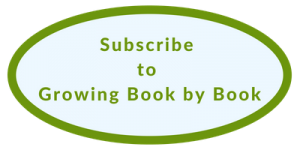 Become a part of the Growing Book by Book community and receive emails full of time-saving resources and offers. 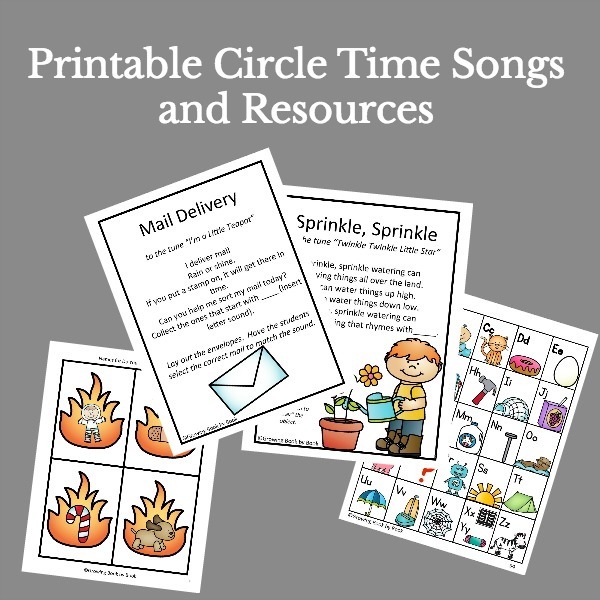 As a thank you, you’ll receive the printable song. 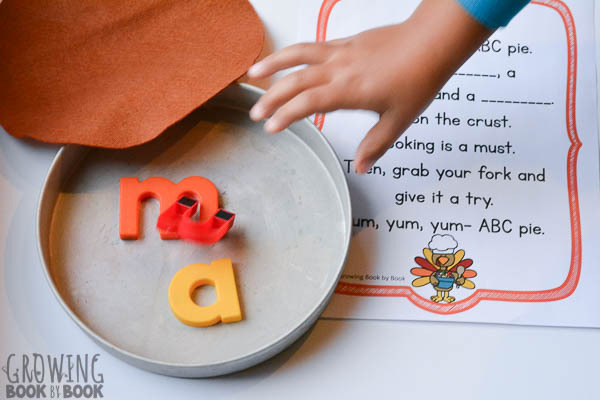 For more Thanksgiving literacy activities, check out these posts. If i am already a subscriber how do I get this pie poem with out having to put my email in again? What a great pre-Thanksgiving book gift. Love it!